On this abbreviated edition of Brew Ha Ha, Steve Jaxon and Mark Carpenter, Mark is just back from an amazing trip to Mexico. He tells what a great trip it was. An old friend and neighbor invited him down. He lives near Puerto Vallarta at 5000 feet in the Sierra Madre Mountains. The city of San Sebastian was established in 1605 as a silver mining town. It reminds him of the Petaluma Old Adobe. There is a lot of microbreweries in Mexico but a bar owner has to be independent not to sign an exclusive contract with big brewers so they are sometimes hard to find. But Mark did discover the Treasure of the Sierra Madre. His friend met a man who has a distillery off the grid up near San Sabastian. He mentions the Hacienda Carmelitas. He is making beer and also Racía. His is so unusual because it’s only made with wild agave. The Agave is a type of succulent plant that looks like a huge artichoke with a huge asperagus growing out of the middle of it. This type only grows wild in the mountains. They harvest these 600 pound plants that are at least 14 years old. They bake them for between 3-6 days, which converts the agave to sugar, which they distill twice. Because of this traditional method, this Racía has a unique flavor, delicious and like no other. Mark explains that Tequila is a type of Mescal, made in the Tequila region. 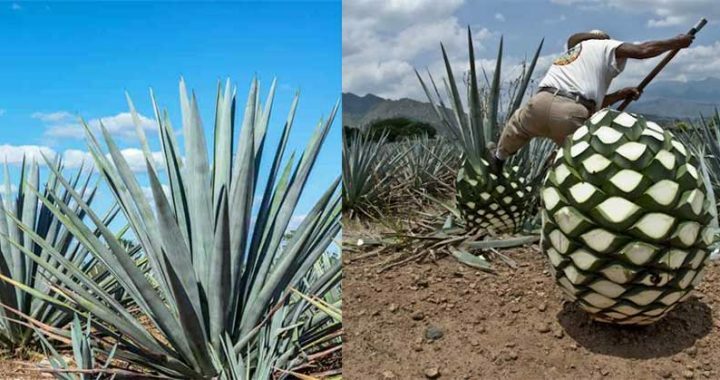 Many Tequila producers will cook the agave with steam, giving it no contact with the wood fire. This method imparts the flavor of the oak wood to the Racía. It is a big tourist area in the Summer, when it is cool up there. Steve asks Mark to talk about some of the small breweries in Mexico. Mark was surprised there were so many. But the big bars have contracts with one or the other of the two large Mexican brewers. They will make it very attractive for a restaurant to make a deal with them, which shuts out all the other breweries. Bar owners pass up a lot of extra money from the big companies if they choose to stock the small brands and not the large brands. The IPAs are much less hoppy than what we are used to in California and they tend to be lower in alcohol, 4 to 5 percent. He tasted a beer made with the juick of the yucca plant, very refreshing.